The Cedar Waxwing has a large span of more than 7 million square kilometers. The population of the Cedar Waxwing is thought to be at around 15 million individual birds. This bird is native to numerous countries in North America and Central America. In 2000, the Cedar Waxwing was rated as Lower Concern. At the current time, the Cedar Waxwing has a rating of Least Concern due to no evidence of population decline over the past several generations. High-pitched "chee" calls given in flight. Call is a thin, high-pitched "zeeeee". Cedar Waxwings are the most specialized fruit-eating birds. Rather than regurgitating the fruit seeds, they eliminate them with their waste. Orange, rather than yellow, terminal bands now seen on some tails are attributed to pigments found in an alien honeysuckle fruit introduced to their diet. A group of waxwings are collectively known as an "ear-full" and a "museum" of waxwings. The waxwings are one of the one hundred eighteen families of birds in the order PASSERIFORMES (pronounced pas-ser-i-FOR-meez); a large taxonomic order that includes silky-flycatchers, bulbuls, and babblers. There are three species of waxwings in one genus in the Bombycillidae (pronounced bom-bih-SILL-uh-dee) family, a group found in the temperate zone of the Northern Hemisphere. North America has two species of waxwings in one genus. These two species are the Bohemian Waxwing and the Cedar Waxwing. Both the Cedar and the Bohemian Waxwings are mostly known for the small red structures on their secondary feathers of the wings that resemble drops of wax. Members of this family are small birds with soft plumage, rather short tails, long wings, and heads with wispy crests. 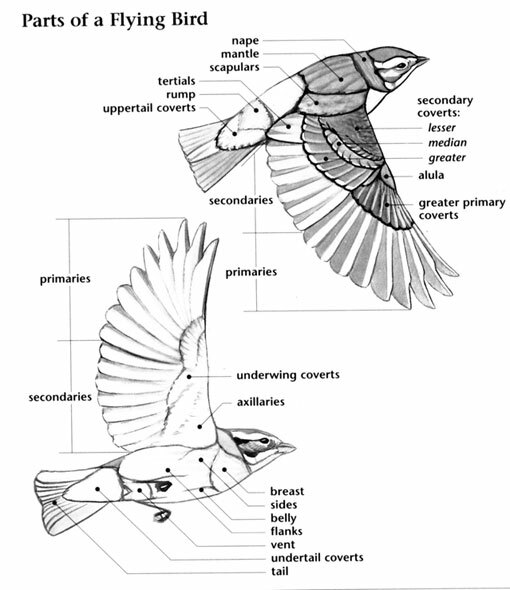 They have thin bills with fairly wide gapes, and short legs adapted to perching in trees and bushes. The waxwings are plumaged in warm browns, russet, and grays. 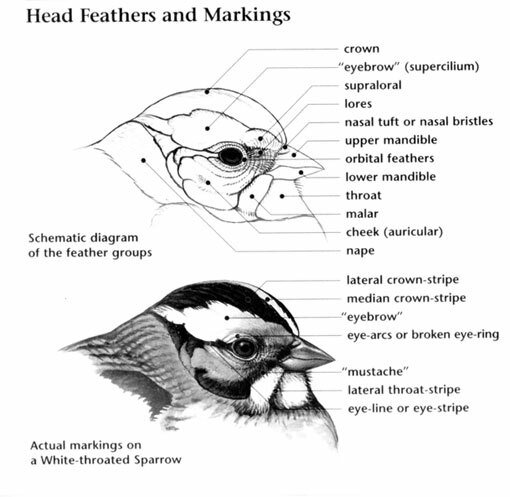 They also have black coloration in the wings, on the tail, and markings on the face that give them a masked appearance. In addition to the red markings on their wings, they also have yellow on the belly, in the wings, and on the tail. Outside of the tundra, waxwings can be found in most areas of the continent with the Cedar Waxwing being the most widespread species. Breeding in open woodlands in the northern half of the United States and in much of Canada, it wanders into open and thinly wooded areas of the southern United States during the winter. The Bohemian Waxwing also wanders in the winter but mostly to the northwestern United States from its breeding grounds in Alaska and northwestern Canada. Depending upon availability of food sources, waxwings can migrate short or even long distances to Central America. Waxwings are very social birds almost always found in flocks that wander in search of fruiting trees, especially those with berries. They eat fruit by gleaning it from the vegetation when perched or plucking it while hovering. They also eat insects, often catching them in flight. These arboreal birds do not come to the ground and are often heard giving their high pitched lisping calls as they fly overhead. There are apparently plenty of fruiting trees available for waxwings, as neither species is threatened. Waxwings are among the most frugivorous of North American birds. 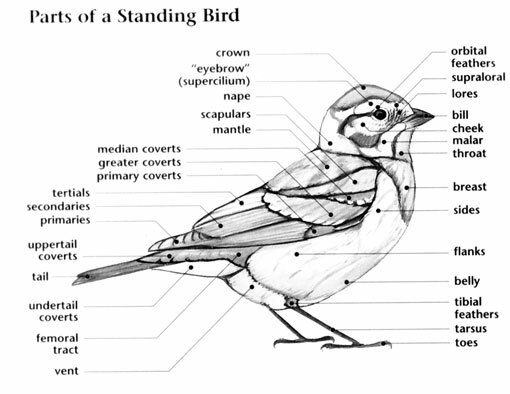 Instead of regurgitating seeds like most birds, they excrete them in their waste, thus helping with seed dispersal. In the fall, they can get also become intoxicated by eating too many fermented berries.